Years ago over lunch at the steakhouse at JW Marriott Atlanta, Sumant Sinha, then Group CFO of the venerable Aditya Birla Group, and his senior colleague and boss of Hindalco Debu Bhattacharya came up with a famous one-liner. "We would like to acquire you," they told their guest Brian W Sturgell, then president and CEO of Novelis. Years later, again over a lunch, on a balmy December afternoon in Mumbai's Wellington Club, Sinha -- by then Tulsi Tanti's Group CFO at Suzlon -- had treated me to one of the best chicken and ham sandwiches I'd ever had in the city till then, writes Arijit Barman. So when it was my turn to take him out for lunch and hear about his new adventure as a clean-technology entrepreneur, I had already made a mental note. The food need not be gourmet but it had better be good. We settled for India Jones, the usually less-crowded Asian restaurant at the Trident. But instead of the Teppanyaki bar, which Sinha frequents with family and kids, we settle for a private table at the corner. ReNew Wind Power -- the start-up Sinha recently founded after Suzlon -- is already in the headlines. 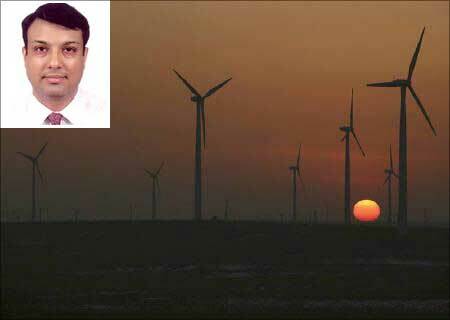 Image: (Inset) Sumant Sinha, chairman & CEO, ReNew Wind Power. 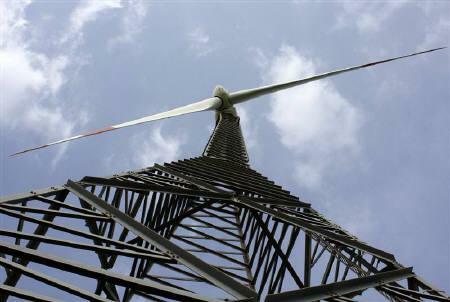 Its plans of producing renewable energy (read: predominantly wind) had already got Goldman Sachs swooning enough to pump in $200 million -- the highest so far in green power -- for a majority stake even before the company actually starts generating electricity. I had to ask him the obvious: Why give up control so soon? Sinha clearly is not a fastidious proprietor, overzealous about ownership. Groomed in the West, where ownership and management are not necessarily aligned, his outlook seems pragmatic. It's a capital-intensive sector, he points out and adds, "I always knew when I would have to raise equity, my ownership will get diluted." His take his simple: "If you are not the best manager of your business, then you have no business managing the company. In my book I am the best manager, so I am running it." For Sinha, ownership is actually about creating value, a facet he has picked up working closely with Kumar Mangalam Birla. So if the toss-up is between a minority stake that grows faster and maximises value versus majority control that doesn't grow at all, can there really be an argument? Goldman on its own also brings a lot to the table. To start with, the global brand name and ecosystem give strong institutional backing for future fund-raising or maybe even an initial public offer. Its technical expertise and global investment templates are additional benefits. What amazes me is Sumant Sinha's truly panoramic professional journey. And I tell him that as we navigate our chicken sui mais and a very deep-fried crispy sea bass. From being integral to a metals and commodity conglomerate like the A V Birla Group to switching to a wind turbine major and then branching out on his own as an independent power producer in the still-evolving renewable sector, Sinha's career path seems to have come full circle. But he uses this chequered progression to his advantage. During his engineering days at IIT, it was "all about working to a deadline in the company of very intelligent people". Then, as a banker in America and London, financial spreadsheets, big M&As, fund-raising become the leitmotif. "But at the Birla Group, I learnt how to build businesses from the ground, create value, how to invest, expect the unexpected hurdle. And especially from Mr Birla himself, I learnt how to take a long view on things and be patient." A stint in Suzlon helped him grapple with the wind sector and master the nuances of the evolving sustainability platform. "But from Tulsi bhai, I have learnt about tenacity. How to stay at it . . . whatever goes wrong." These are qualities that no B-school master class will ever teach you. Sinha says for generalists like him, the entrepreneurial decision is a tad different from a business decision. "You have to spot an opportunity early and take the plunge. Yes, by doing so, the risk will be more. But that's where your desire and passion come in. You can't do the same with an idea that already has had many deep-pocket takers." The fundamental underpinning of sustainability is profitability. Globally, PE evangelists -- and there are many -- for all things clean and green will vouch for that. But can local ventures generate the green bucks and IRRs that investors typically seek? Sinha is confident it will but admits that too much optimism has crept into the independent power producer space fed by many financial investors looking at a bigger bang for their buck. "I think the current stress will ensure some of that optimism fades away. After 2008, prices had dropped 10 to 15 per cent. They have already stabilised but I think there is still room for some bit more correction," he admits. Being a subset of the overall power story, even renewable IPPs like ReNew Power are facing bigger challenges that are plaguing the space per se. Banks often club them with conventional power peers and are hesitant to lend, fearing bad loans; state electricity boards are bankrupt and regulations are still patchy. That's par for the course, explains Sinha as we settle for our main course of Tangra Chicken -- a boneless preparation with sauteed spring onions and tomatoes -- and Steamed Grouper in Vietnamese Laksa (mint-based) sauce. What gives Sinha hope are the positives that are playing out in his sector. 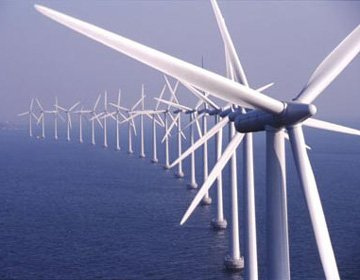 So far the sector was defined as much by equipment manufacturers like Suzlon who would provide turnkey solutions as by government regulations focusing on tax breaks and depreciation benefits. Renewable energy tends to be more expensive than conventional. It also relies a lot more on government policies. That regulatory framework is being tweaked to provide more generation-based incentives to make ventures potentially more profitable. "Efforts are on to truly develop the renewable energy IPP business," he believes. It's still a work-in-progress, but the clean tech catchphrase is no longer for off-the-grid fringe dwellers. For example, it's now mandatory for conventional (thermal) energy consumers to source a part of their requirement from greener sources as part of Renewable Energy Purchase Obligations. State-wise, it can vary from 10 per cent of the total power sourced and non-compliance invokes penalties. IPPs like ReNew Power can also sell Renewable Energy Certificates (REC) to companies that cannot buy green power but have to fulfill their targets. Under this mechanism, a renewable power generator can sell electricity to independent entities or state electricity distribution companies (discoms) at a negotiated price. 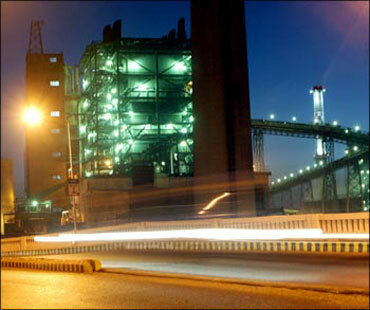 Once a producer supplies the green power to the discom, only then can RECs be issued to them. Once issued, IPPs can then sell these certificates to third-party companies who are the traditional energy guzzlers or trade them on fledging power exchanges where they are going at a premium. 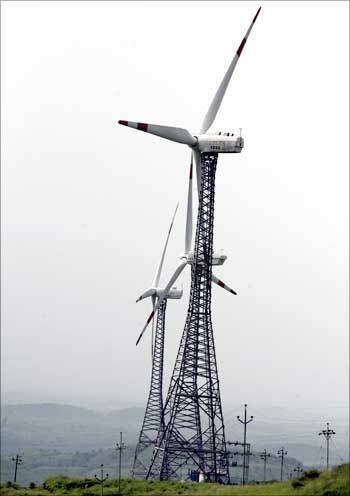 "Today, comparing the environmental damage, wind is more than competitive with conventional resources. So, only now it's making better business proposition for long-term investors. 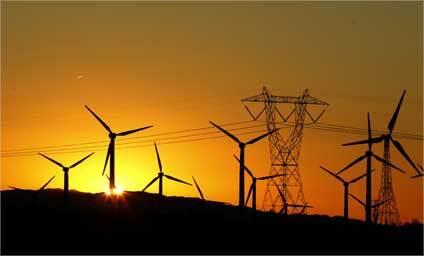 The cost of thermal power is going up, but that of wind has remained flat," says an emphatic Sinha. 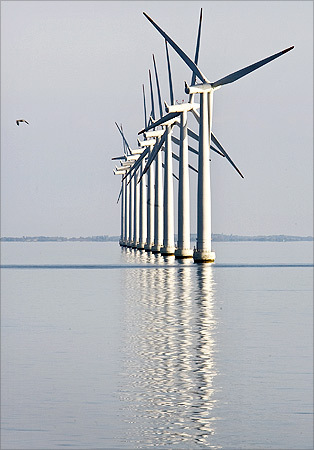 Wind power today is the biggest contributor in the 18,000-MW renewable energy pie. 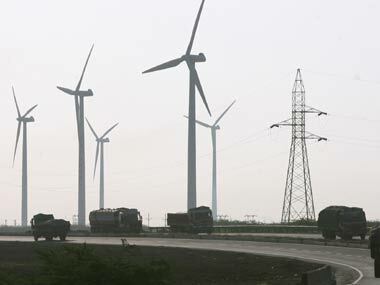 Naturally, Sinha has set an ambitious road map to ride piggyback: to generate 100 MW by June next year and 1,000 MW by 2015 across seven states -- Tamil Nadu, Andhra Pradesh, Madhya Pradesh, Karnataka, Maharashtra, Gujarat and Rajasthan. He wants ReNew's small team of 14 -- that may treble in a year -- to increasingly focus on developing these farms by themselves even when land acquisition is turning out to be an albatross for India Inc.
At the same time, he is also teaming up with select vendors like Suzlon for turnkey projects. The trick, he says, "is to lock your land bank early for the most competitive rates". Sinha wants to save the planet and make money too. At first glance, he looks more a hedge fund boss from London's leafy Mayfair than an Indian entrepreneur who will roll up his sleeves and get his hands grimy. But like of many wind moguls or biofuel magnates, those looks can be deceptive!